To provide an alternative livelihood not dependent upon increasingly inpredictable weather patterns for every family in the tsunami-affected areas. To help unemployed and economically vulnerable women to become self-reliant through the development of technical and vocational skills. To adequately prepare each member to engage in an income-generating activity, start-up individual business, or group business with other members. To provide support in starting home-based nutrition awareness through home gardening instruction and support. To provide a loan base for SHG members for emergencies, education, home, and business needs. 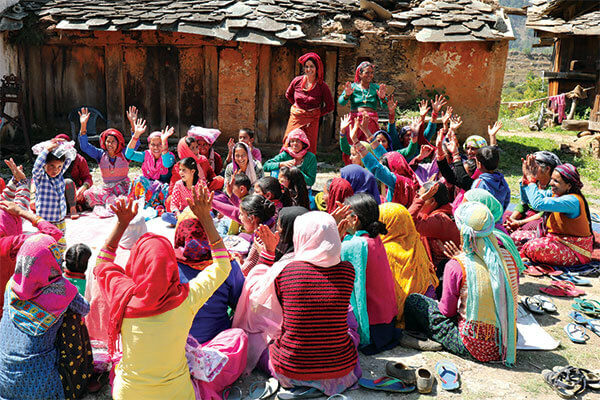 To establish 30,000 SHGs comprising at least 10 women each. Today, SHGs have been formed in 21 states throughout India, with the greatest number so far being in South India.